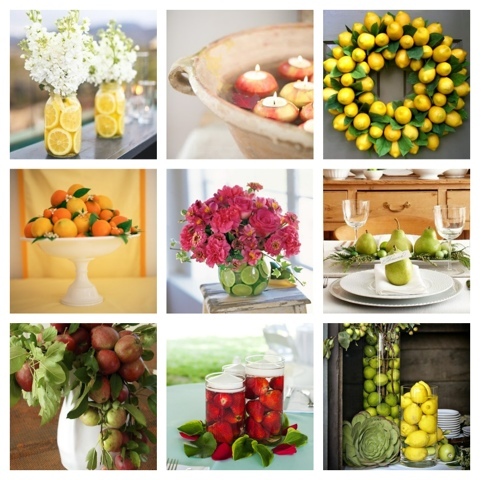 There is something wonderfully fresh about a fruit centerpiece. The beautiful colors are summery, and I don't know about you, but my mood feels brighter looking at them! Below you will find a few ideas to incorporate a little fruit escape into your life using apples, lemons, limes, oranges, pears, and strawberries.